As a personal shopper, I have been very busy helping my clients do their end of year wardrobe audits. But I am always looking for ways to help me visually manage their wardrobe and then show them how to mix-and-match pieces to create outfits. So imagine my excitement when I was asked to review Shopatico, an online website where you can keep track of your wardrobe, online purchases, wish lists, create outfits and share it all with via several applications including social media platforms too. Email Shopatico your online purchase confirmation and they add those images to your closet. 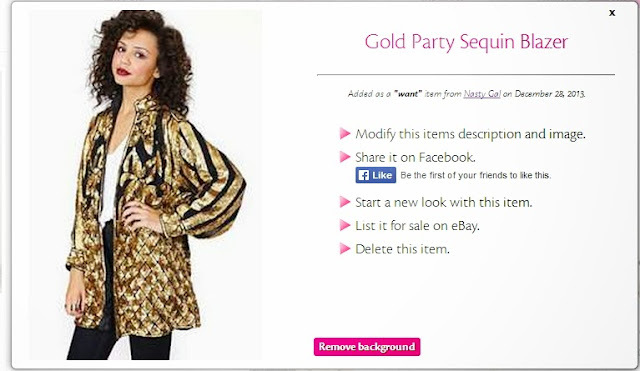 Upload pictures of your clothing or pictures of you wearing your favorites outfits to your closet. Add the Shopatico Selector to your tool bar and while window shopping online and add those images to your closet. 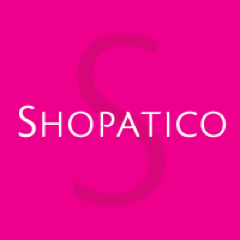 You can now share your virtual wardrobe with other Shopatico members (and your social media friends too! ), get style inspiration and where to buy info too. Here are a few looks I created to share with you! This dress is a recent purchase from Diva Diva Boutique. But I added a necklace while window shopping online at Nasty Gal. So now when I am ready to purchase, I just go to my virtual closet to complete the sale. This is a vintage sequin blazer that I added to my want list. From here I can share it on Facebook or start a new look in my closet. If you like to organize your closet, need some style inspiration or create wish lists to send to loved ones, I suggest you sign up for Shopatico. I am really enjoying it and I think you would too! How do you keep your closet organized? Do you currently use a virtual organizing system? Disclosure - I received compensation from the company mentioned above for this review. The views expressed above are my own, honest opinions and any claims should be verified on the sponsor's site.